Property Tax Sale in Clark County Just One of Many Whoppers! As previously reported, Indiana’s property tax sale offerings are bursting at the seams. The recent trending (revaluing of properties) has caused the cancellation of several years’ worth of sales. One county (Clark County, IN) has not had a tax sale since 2007, and predictably enough, the property tax sale held yesterday brought in almost $4 million. According to NewsandTribune.com, the 79 bidders at the sale had 408 parcels to choose from, and purchased liens against 226 of them. One is left to wonder, how many properties went unsold at the property tax sale because of several years’ unpaid taxes? Do commercial properties, apartment buildings, and even large tracts of land get offered at a property tax sale? Sure they do! The source article at http://newsandtribune.com/local/x537488271/Clark-Co-reaps-nearly-4-million-from-tax-sale gives a good description of how the Indiana property tax sale works. But let’s read between the lines and truly get an idea of what these stats can mean for us as tax sale insiders. $3.96 million worth of liens were sold at the property tax sale, spread over 226 liens sold. That’s $17,500 per lien on average! There must have been some large overbids at this sale. 79 bidders registered at the sale – if you’re doing business in this area, get a public records request into Clark County as soon as possible. The list of the bidders at that sale – 79 cash buyers – have already shown they have cash available. And who wouldn’t love to get properties NOW instead of waiting for the property tax sale to take its course! Can anybody tell me why they WOULDN’T hop on this county right away to do business? Respond below and let me know! 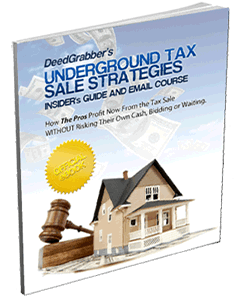 This is but one property tax sale of dozens this year with unreal opportunity! magnificent points altogether, you just won a emblem new reader. What may you suggest in regards to your post that you simply made some days ago? Any positive? fantastic points altogether, you just received a new reader. What may you recommend in regards to your post that you simply made some days ago? Any sure? hello!,I like your writing very a lot! share we keep up a correspondence extra about your post on AOL? I need an expert on this space to unravel my problem. Maybe that is you! Taking a look ahead to peer you. 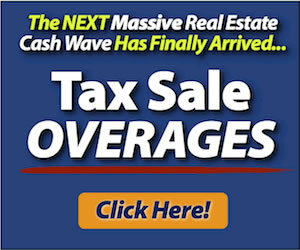 « Tax Lien Certificate Sales – Your Best Source of Wholesale Buyers!